Before we begin, here is a general rule you must follow to make this really work. You shouldwear all of the gear you will wear at a match when dry firing—including your hearing protection, shoes/boots, hat, vest and whatever else. The same applies if you are practicing defensive shooting. 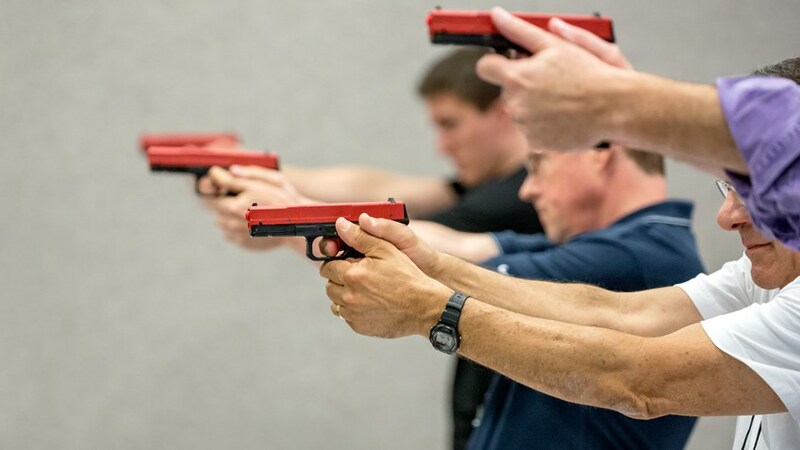 Dry firing (practicing) without your gear on is not putting you under the same conditions as in competition—you must be consistent to win and that includes dry firing—don’t skimp. Also, use the same time elements. If you are a silhouette rifle competitor for example you can do dry firing at whatever cadence you wish, but finish up with a dozen or so simulated practice matches where you take the full live fire 2 1/2 minutes. And as with live fire practice, if your accuracy and form begins to degrade consistently, then end your practice session! You do not want to practice bad form.